An NFL Owner Wants to Know What YOU Think! than I am of my M.D. diploma……. I had an enjoyable weekend, and I hope you all did as well. Friday night I was on the sidelines covering an American football game which extended into the late hours because of an extended lightning delay, but after that I had my first relatively free weekend in a while. I don’t think I’ve ever shared my bona fides with the readership, but besides being a licensed physician I am, ahem, an owner of a professional sport team*: the Green Bay Packers, It was with pride that I attended their game on Sunday…..but it was with sadness that I drove away from the stadium, ‘my’ team having snatched defeat from the jaws of victory. I had just blogged about the new study published ahead of print in CJSM on the subject of motor vehicle accidents in collegiate athletes: they are the number one cause of death in this population. Without further adieu, then, take a moment now and test your knowledge (hint: answer is both in the blog post and the study itself; but I’ll also post the answer with in my next blog piece). 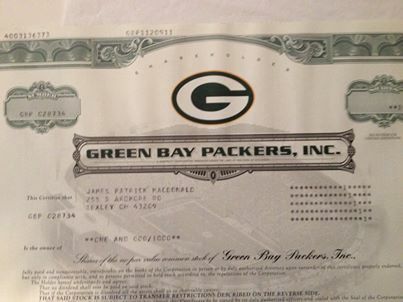 *one of 364, 122 shareholders of the Packers as of this writing! Roman Abramovich I am not!